If closely assayed, the port at Gwadar, Pakistan—touted as part of China’s string of maritime gems—loses its luster, looking more like a counterfeit than the real thing. 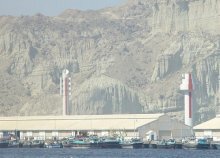 China’s investment in the construction of the Port of Gwadar in western Pakistan has fueled speculation for nearly a decade that the Pakistani port is a keystone of China’s political, economic, and military ambitions in the Indian Ocean—similar to Singapore’s position in Southeast Asia at the height of the British Empire. Coupled with investment in Gwadar is the possible construction of a 1,500-mile oil pipeline running from the port to western China, which ostensibly would reduce China’s dependency on vulnerable oil imports transported through the Strait of Malacca. On the surface, the argument is compelling and appears strategically sound. In 2001 China agreed to contribute funds to the construction and development of a modern deepwater port at Gwadar in the Baluchistan region of western Pakistan. Construction of the first phase of the project began in March 2002, with China providing $198 million in funding and Pakistan providing $50 million. Pakistan views a modern port at Gwadar as key to developing the Baluchistan region of Pakistan and as a regional hub for the shipment of goods to and from Pakistan and to and from landlocked nations in Central Asia. Memories of India’s blockade of Karachi during the 1971 Indo-Pakistani War and Gwadar’s position 450 miles west of Karachi also have led some in Pakistan to view Gwadar as strategic depth for Pakistan’s navy in the event of a conflict with India.